From the raucous blues-rock swagger of The White Stripes to his endeavours with The Saboteurs and The Dead Weather, it’s hard to escape the impact Jack White has had in 21st century rock music. In an era dominated by digital audio workstations, plugin effects and MIDI, the enigmatic guitarist has carved a niche for himself as a champion of analog recording. And while many of his past and present side projects and releases showcase this, it is his debut solo album that acts as the greatest testament to White’s love and affinity for all things vintage. Following the breakup of The White Stripes, various side projects and a divorce, Jack White threw himself into his Nashville studio. He emerged with his first solo album, Blunderbuss. Here’s what went into its creation. Throughout 2010 and early 2011, Jack White dived headlong into producing records for his label, Third Man Records. Working for artists such as Tom Jones, Seasick Steve and Wanda Jackson, he began to record and arrange tracks for other artists while developing a knack for directing the various components of a band, sometimes leading up to twelve session musicians at once. After a last-minute cancellation from Wu-Tang Clan’s RZA, White found himself with a group of session musicians already set up in his studio and ready to record. So instead of sending them all home, he showed the musicians some compositions of his own and ended up recording three original songs during this chance opportunity. It was with this session that the seeds of Blunderbuss were sown. Having performed in so many renowned bands, White found the creative process of being a leader liberating. Rather than working as a group on a shared idea or concept, he could call in musicians if he found an instrument necessary to a particular song. This method enabled him to write specific lines for specific instruments, and in the process, evolved Jack White from just another band member to his own band’s sole arranger and songwriter. Written and recorded in the second half of 2011, the sessions for Blunderbuss took place in White’s own Third Man Studio. As with many of his White Stripes LPs, the album was recorded solely on analog tape, utilising two 2-inch 8-track Studer A800 tape machines, along with a stereo modified Neve mixing console. Many of the songs on the album are tracked and recorded live, and out of the thirteen songs on Blunderbuss, only four make use of eight or more tape tracks. Luckily, working extensively with analog recording methods for such a long time made Jack White a confident studio player. And while DAWs such as ProTools let you chop, change and rearrange songs freely, the fact that tape was used meant that White had to figure out the tone, level and placement of each individual track before pressing record. Take the drums for example. Most of the songs use White’s 60s era Ludwig kit, complete with a 22-inch kick drum. 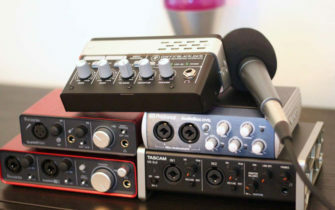 The kick was miked with a Klemt Echolette ED12, while two Shure SM57s were used to capture the snare, with an AEA R88 operating as a single overhead. As all of the drums were bounced onto one tape track, White and Vance Powell, the engineer behind Blunderbuss, had to ensure during soundchecks that the snare wasn’t overpowering. White’s retro tinged mentality to music didn’t just affect the recording process of his debut album – it also went on to influence the final mix and master of the LP. Employing Bob Ludwig to helm the mastering process, he stipulated to Ludwig that no compression was to be used, acting as a protest to the ‘Loudness Wars’ of the 90s and 2000s. Ever the vinyl junkie, White also wanted to release an LP with absolutely no digital processing whatsoever. As such, Ludwig was tasked with doing two final masters for Blunderbuss – one for the vinyl release, as well as a high resolution digital master for the CD and digital downloads of the album. 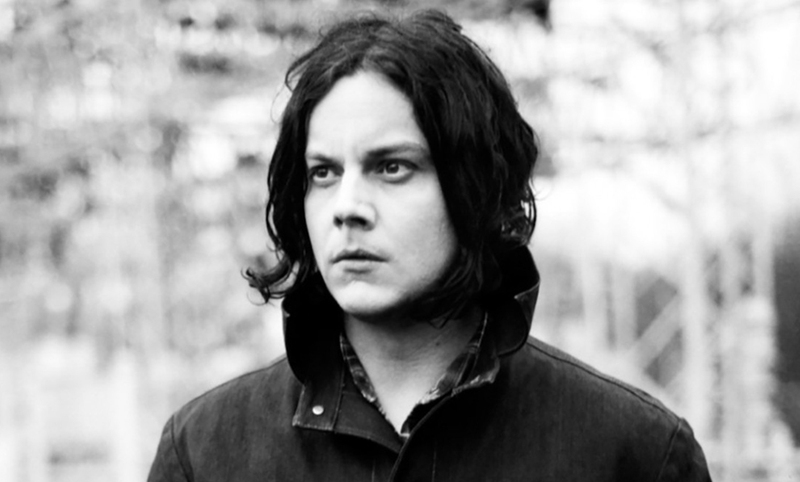 In the same Paul Tingen interview, Jack White stated that he was able to employ “100 different production styles on the record.” As a result, Blunderbuss incorporates quite a few of White’s musical influences and styles including the blues, hard rock and country. The genre most prevalent on the LP, however, is old school Americana – something that was definitely influenced by the decision to record in Nashville, home to the Grand Ole Opry. This influence can be seen in the use of the fiddle on the album’s closing track Take Me With You When You Go, as well as the use of the mandolin on Hip (Eponymous) Poor Boy and the pedal steel guitar heard on the titular track as well as On And On And On. In fact, many of the songs employ an upright bass in place of a conventional electric bass guitar. While most of these notable Americana instruments are used in the album’s slower, country-tinged tunes, White also uses the instruments in more modern musical contexts. The best example of this is Sixteen Saltines, a rambunctious garage-rock song that is anchored by the fat tone of the upright bass and even features a fiddle embedded deftly within the mix. Blunderbuss also incorporates more modern musical influences into its composition. On the track Freedom At 21, Carla Azur’s drum beat is treated with tape echo, providing the song with a hip-hop-esque groove that plays perfectly with the track’s slinky guitar riff. Though he employed over a dozen different session musicians over the course of recording Blunderbuss, White’s playing on the album consisted of a lot more than just his usual guitars. Playing the piano on a handful of tracks, he also plays the Fender Rhodes on the opener Missing Pieces, as well bass on Hypocritcal Kiss and the drums on I Guess I Should Go To Sleep. Out of his arsenal of rare guitars, his main axe of choice for Blunderbuss was his Fender Highway One Telecaster rigged with a Bigsby tailpeice, while his Gretsch Rancher Falcon Cutaway was employed on the album’s acoustic songs. He would run the Telecaster either through a Hot Rod Deluxe III Tube Amp for a natural warmth, or through his ‘63 Fender Vibroverb, who’s built in reverb can be clearly heard on Sixteen Saltines. Effects wise, White tended to keep his setup relatively simple, relying mostly on his trusty DigiTech Whammy to send his wailing guitar solos soaring octaves above the rest of the band. For distortion and grit, he made extensive use of his Union Tube & Transitor Black Bumble Buzz – a pedal made specifically for White. As the album’s producer, he also experimented with how the guitar sat within the mix – In the second verse of Freedom At 21, the guitar is panned hard left and his vocals hard right, while in the build-up to the solo on Weep Themselves To Sleep, his electric squalls wildly fluctuate from left to right, creating a sense of anticipation. Blunderbuss marks a departure from The White Stripe’s lo-fi charm that made White famous in the first place. His blistering guitar work, emotional vocals and inspired songwriting skills are presented to us with a rich, high end sheen that was previously unheard in his work. And while the development of his debut solo LP deviated drastically from his usual way of operating, the analog heart of Blunderbuss is nothing short of classic Jack White.